The states of Finland and Norway are trying to make the livelihood of indigenous Saami salmon fishers illegal in Deatnu (Teno/Tana), the biggest Atlantic salmon river in Europe. The proposed new legislation would take away the majority of traditional Saami fishing rights, making it impossible for them to continue their traditional livelihood in all its diversity. Meanwhile, the states would give new fishing rights to (non-indigenous) people who own summer cottages in the valley. Those Saami who do not live permanently in the river valley would be completely denied the right to traditional fishing.This is a clear violation of the human right to culture, as is written in the International Covenant on Civil and Political Rights (ICCPR), Article 27. Salmon fishing is the foundation of river Saami culture and identity, and it is a way of life for the Saami in Deatnu valley. Salmon is one of the main reasons why the Saami indigenous peoples inhabited the area in the first place, and it is one of the key sources of food in this Arctic region. Denying Saami the right to fish salmon in traditional ways threatens the continuation of river Saami culture and the transfer of the traditional knowledge to the next generations, and also impacts directly on local diet, and thereby their health and wellbeing. The proposed act on salmon fishing in Deatnu is a clear violation of indigenous peoples’ right to self-determination, and Free, Prior, and Informed Consent. 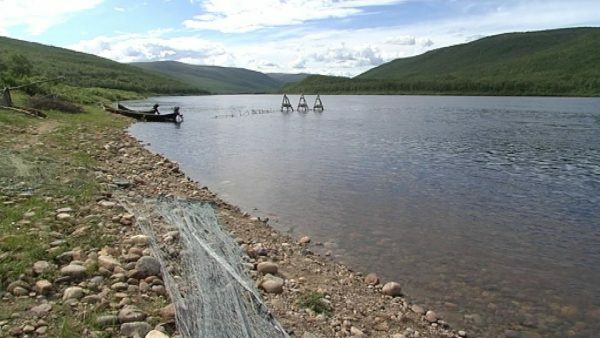 There has also been a request by Saami representatives that future regulations on fishing in the river be negotiated with, and accepted by, the local Saami community. The ICCA Consortium Steering Committee has sent a letter of concern to the Finnish Minister of Agriculture and Forestry. Read here the official complaint by the Saami Parliament. Read here an article published in the mainstream media Yle Uutiset in July 2016. JOIN THE STRUGGLE SIGNING THIS AVAAZ ONLINE PETITION.